The Companies (Amendment) Act 2014 (the Companies Amendment Act) was passed in Parliament on 8 October 2014 and has been implemented in two phases. The first phase of the amendments came into force on 1 July 2015 and the second phase took effect from 3 January 2016. The Companies Amendment Act introduces extensive changes to help reduce the regulatory burden on companies, provide greater commercial flexibility and enhance the standard of corporate governance practices in Singapore. the giving of financial assistance by a company for the acquisition of its own shares or those of its holding company. Prior to 3 January 2016, section 162 of the Companies Act prohibited a company (other than an exempt private company as defined in the Companies Act) from making a loan to any of its directors or the directors of a company which by virtue of section 6 of the Companies Act is deemed to be related to that company (a relevant director) or giving any guarantee or security for such loan, subject to certain exceptions. Prior to 3 January 2016, section 163 of the Companies Act also prohibited a company (other than an exempt private company) from making, or providing any guarantee or security for, a loan made to another company (including companies incorporated outside Singapore) where the directors of the first company are interested in 20% or more of the shares in the second company, subject to certain exceptions. Directors who authorise a transaction which is prohibited under section 162 or 163 of the Companies Act prior to 3 January 2016 will be guilty of an offence and will be liable on conviction to a fine of up to S$20,000 or to imprisonment of up to two years. With the second phase of the Companies Amendment Act becoming effective, the prohibitions under sections 162 and 163 of the Companies Act have been expanded to also apply to quasi-loans and credit transactions. The terms “quasi-loans” and “credit transactions” are broadly defined under the Companies Amendment Act. Quasi-loans include transactions where a party (a creditor) agrees to pay a sum, or reimburse expenditure, incurred by another party (a borrower) on terms that the borrower (or any person on its behalf) will repay or reimburse the creditor. otherwise disposes of immovable property or supplies goods or services on the understanding that payment (whether in a lump sum or instalments or by periodic payments or otherwise) is to be deferred. The prohibitions under section 163 of the Companies Act have also been extended to cover transactions between a company (whether acting as a creditor or supplier) and a limited liability partnership in which that company’s directors are interested in 20% or more of the total voting power of that limited liability partnership. In view of the expanded scope of the prohibitions, if a company intends to enter into a transaction involving its director or a relevant director or an entity in which its directors have 20% or more voting power, the company should carefully consider the facts of the transaction and satisfy itself as to whether such transaction may amount to a “quasi-loan” or “credit transaction” which is caught under section 162 or 163 of the Companies Act. If there is a risk that the proposed transaction may constitute a “quasi-loan” or “credit transaction”, it would be prudent for the company to explore and consider whether there is any exception which may apply to allow the company to enter into the proposed transaction. Prior to 3 January 2016, the exceptions to the prohibitions under section 163 of the Companies Act were fairly restrictive. There was also no process under the present Companies Act which allowed a company to obtain its shareholders’ approval of a transaction which might be prohibited under section 163 of the Companies Act even if the shareholders agree to proceed with the transaction. This issue has been addressed to a certain extent with the introduction of a new exception under the second phase of the Companies Amendment Act. This new exception essentially permits a transaction if the prior approval of the company’s shareholders in a general meeting has been obtained, provided that any directors who are interested in the transaction (and their family members) had abstained from voting. The requirement for abstaining, however, can be dispensed with if all the shareholders of the company have each voted to approve the transaction – this is particularly helpful in cases involving family-owned companies where all the shareholders may have to abstain from voting. As the new exception does not provide for ratification of the transaction by the shareholders, the company must remain mindful and continue to exercise great care when considering whether a proposed transaction might contravene the prohibitions under section 163 of the Companies Act before the company enters into the transaction. It is also important to bear in mind that the new exception applies only to the prohibitions under section 163 of the Companies Act and does not extend to the prohibitions under section 162 of the Companies Act. Prior to 1 July 2015, a company was generally prohibited under the old section 76 of the Companies Act from giving any financial assistance for the acquisition of its own shares or the shares of its holding company. This prohibition is aimed mainly at preserving and protecting the company’s capital as well as its creditors’ interests. The Companies Act prescribes certain “whitewash” procedures which a company must comply with before it is allowed to give financial assistance which might be caught by the prohibition. Such “whitewash” procedures, however, can be administratively cumbersome and can cause unnecessary delay and expense and may even hamper the conclusion of certain transactions such as leveraged buyouts of companies . As the scope of the financial assistance prohibition under the old section 76 of the Companies Act was very broad, it inadvertently extended to certain transactions which might not necessarily have fallen within the “mischief” which the prohibition was intended to address. With the introduction of the first phase of the amendments under the Companies Amendment Act, the financial assistance prohibition no longer applies to a private company whose holding company or ultimate holding company is not a public company. Such private companies can therefore structure transactions where financial assistance can be given to purchasers of their shares without having to comply with the “whitewash” procedures prescribed in the Companies Act. Notwithstanding the above abolition of the financial prohibition, when entering into a transaction involving the giving of financial assistance, the directors of the relevant private company must still observe their fiduciary duty to ensure that the transaction is of commercial benefit to the company and is not detrimental to the company or the interests of its creditors or shareholders. As a matter of prudence, the board resolutions passed by the private company to approve the financial assistance should confirm that the proposed assistance is given for a commercial purpose in the context of a transaction which the directors reasonably believe is for that private company’s benefit and should not materially affect that private company’s ability to meet its debts and does not materially deplete that private company’s assets. It is important to note that the financial assistance prohibition continues to apply to public companies and their subsidiaries. A new “no material prejudice” exemption, however, has been introduced to the financial assistance prohibition by the first phase of the amendments under the Companies Amendment Act. Basically, a public company or its subsidiary can give financial assistance for the acquisition of its shares or shares of its holding company if the financial assistance does not materially prejudice its interests or the interests of its shareholders or its ability to pay its creditors. 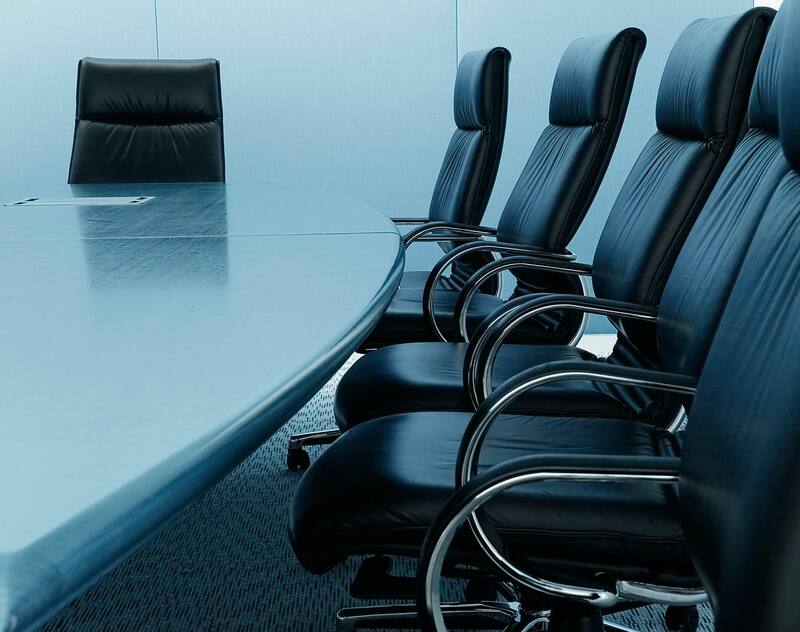 In addition, the board resolutions approving the giving of the financial assistance must confirm that the terms and conditions of the proposed assistance are fair and reasonable to the relevant company or subsidiary and also set out the grounds for the directors’ conclusions in full. In short, in order to come within the “no material prejudice” exemption, the directors of the affected company must satisfy themselves that there is no material prejudice to the interests of that company or its shareholders or its ability to pay its debts and that the terms and conditions under which the financial assistance is proposed to be given are fair and reasonable to that company. As there is uncertainty as to the materiality threshold, companies may initially be hesitant to apply this new exemption. However, given that the new exemption does not require the directors to make a solvency statement relating to the financial assistance (unlike under the “whitewash” exemption which if made without reasonable grounds can render the directors liable to a fine of up to S$100,000 and/or imprisonment of up to three years), it would appear to be a more attractive alternative for directors. the payment of costs by a listed company with any scheme, arrangement or plan under which a shareholder of that company can purchase or sell shares for the sole purpose of rounding off any odd-lots which the shareholder owns. While some of the amendments discussed above are more administrative and provide more business flexibility, when proposing to enter into a transaction which has a financing or credit aspect, a company and its directors must remain prudent and greater care and caution has to be exercised, in particular, if the transaction involves any directors or entities in which the directors have an interest. The author acknowledges and thanks Ron Oong and Hong Chengyi for his contribution in the writing of this article.